Using a mobile to browse webpages on the internet can be a bit of a pain sometimes. If you see a website listed in a newspaper or magazine, or on a billboard or on TV, you have to remember it exactly or copy it directly into your mobile phone browser using the keypad. If you have to put in a long url, this takes time and it can be very frustrating as just get one character wrong, and the weblink doesn’t work. Since more mobiles have started to have built in cameras, this offers the opportunity to make things a lot easier – but using 2D barcodes? Traditional barcodes are the black and white stripy boxes that appear on everything you buy, from carrots in the supermarket, to a new laptop in a computer store. They are used to record the critical information about products – the product number and the price – and they can also be used by the shop’s computer stock system to keep an accurate record of exactly how many similar items are left on the shelves. These look more like squares with a variety of sizes of small and larger squares within their boundary. If you imaging taking two ordinary barcodes and combining them at horizontally and vertically, you can get a good idea of how a 2D barcode is made. The information that can be stored in a 2D barcodes is massive compared to the few bits of data in a traditional bar code. With a translator available, the 2D barcode can be decoded into pictures and a whole page of text with information about a product or service. Why are 2D Barcodes Useful if you have a Mobile Phone? Many of the newer mobile phones have an inbuilt 2D barcode decoder – and because of their camera, if you take a picture of a 2D barcode with your camera, this decoder then gets to work and displays the information on your screen. If you were out shopping and you saw an advert on a poster about a set of new garden products that were coming in for spring and the poster just had a title and a 2D barcode, if you took a picture of the barcode, this would display details of all the products that were coming in with prices and pictures. You can then take that information home and plan what you are going to buy. The same sort of information can be detected and decoded from posters, newspapers, magazines and even TV adverts. 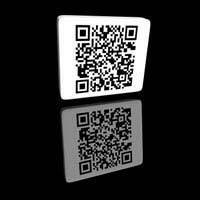 2D barcodes can be used to provide information about forthcoming films, property for sale, new cars. 2D barcodes are proving useful but not many people know about them. In the next two or three years this will change dramatically and 2D barcodes will be everywhere. Theatres, cinemas, art galleries and other centres that require you to have a ticket will probably be issuing 2D barcodes that you picture with your mobile and that then displays your ticket information on your handset. Major airlines, train operators and other travel providers will be using 2D barcodes instead of tickets and boarding passes, as 2D barcodes are much more difficult to forge and they can contain lots of extra security information. Some experts believe that this is only the start of our use of 2D barcodes, so it will be interesting to look back in a few years and see all the things that we hadn’t even thought of.